How to Stop DoS Attacks? In denial-of-service (DoS) attacks, attackers with malicious intent prevent users from accessing a service. This is done by either targeting the computers and network of the website that you are trying to use, or your computer and its network connection. Attackers can thus prevent you from accessing your online or email accounts. The attacker sends out a flood of superfluous requests to the main server of the website in question, which mostly overloads it and then blocks out any further requests before the capacity is retained back. This results in causing a denial of the incoming legitimate requests for this website and you automatically become the victim. These are attacks in which an attacker compromises multiple zombies and simultaneously floods the target with numerous SYN packets. The target will be overwhelmed by the SYN requests, either it goes down or its performance gets drastically reduced. Fragmentation attacks are a type of DoS attack that fights against the reassembling potential of the target. Several fragmented packets are sent to the target, and the target finds it difficult to reassemble them, thus denying access to the valid clients. In these attacks, the complete bandwidth of a network gets consumed and hence preventing the authorized clients from getting the resources. This is obtained by flooding the network devices like hubs or switches with numerous ICMP echo request/reply packets so that the entire bandwidth is consumed, and no other clients are able to connect with the target network. This DoS attack occurs when the attacker sets up and tears down TCP connections and overwhelms the stable tables. This attack is carried out by bringing about a permanent damage to the system hardware by sending fake updates to the hardware thus making them completely unusable. The only solution Re-installing the hardware is considered to the only solution. The attacker causes this DoS attack by taking advantage of the programming errors in the application. This is done by sending several application requests to the target to exhaust the target's resources, thus preventing it from servicing any valid clients. A programming error in the case of buffer overflow attack occurs if the memory allocated to a variable is smaller than the requested, this indeed can lead to crashing the entire application or memory leakage. Server configuration can help reduce the probability of being attacked. If you are a network administrator at some firm, analyze your network configurations and then strengthen the firewall policies to block out unauthenticated users from addressing the server's resources. Some third-party services provide guidance and protection against DoS attacks. These can indeed be expensive but also effective. Deploy a firewall and an antivirus program into your network if you have not already done it. This will restrict the bandwidth usage to authenticated users only. Generally, DoS attacks are executed on high-profile organizations such as financial and banking sector companies, trade and commercial stubs etc. it is extremely essential for these organizations to be completely aware of DoS attacks and they should keep looking over one's shoulder in order to prevent any potential attacks. 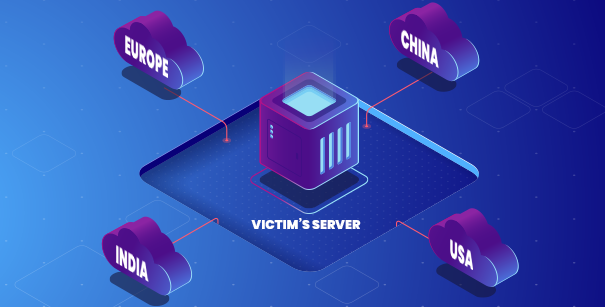 Despite the fact that these attacks do not directly relate to theft of confidential information, it can actually cost the victims a heavy sum of time and money to get rid of the problem. You can get a good firewall and antivirus program by installing cWatch, a web security tool developed by Comodo. The Comodo WAF is one of the key features offered by cWatch. This WAF that play a major role in stopping DoS attacks is capable of eliminating application vulnerabilities and protecting web applications and websites against advanced attacks including Denial-of-Service (DDoS), Cross-Site Scripting, and SQL Injection. Incorporated with vulnerability scanning, malware scanning, and automatic virtual patching and hardening engines, the Comodo WAF provides strong security that is wholly managed for customers as part of the Comodo cWatch Web solution. Globally-distributed Anycast network allowing efficient distribution of traffic. It explicitly blocks all nonHTTP/HTTPS-based traffic, with a current network capacity in excess of 1 TB/s. Each PoP comprises of multiple 10G and 100G ports, designed to scale and absorb extremely large attacks. This WAF blocks malicious bots and brute force attacks from websites. It provides protection of account registration forms and login pages from different attack vectors including protection from application DoS, web scraping, and reconnaissance attacks. Protects vulnerable websites by detecting and removing malicious requests and stopping hacking attempts. It also focuses on application targeting attacks, for example, Drupal, Joomla, WordPress and plugins etc. Consistent updates of virtual patches are provided for all websites under management. The WAF also provides instant response to apply a patch for the zero day attacks when they become known to the public.